Take the opportunity to get your office filing efficiently organised with some of these high quality lateral filing racks. 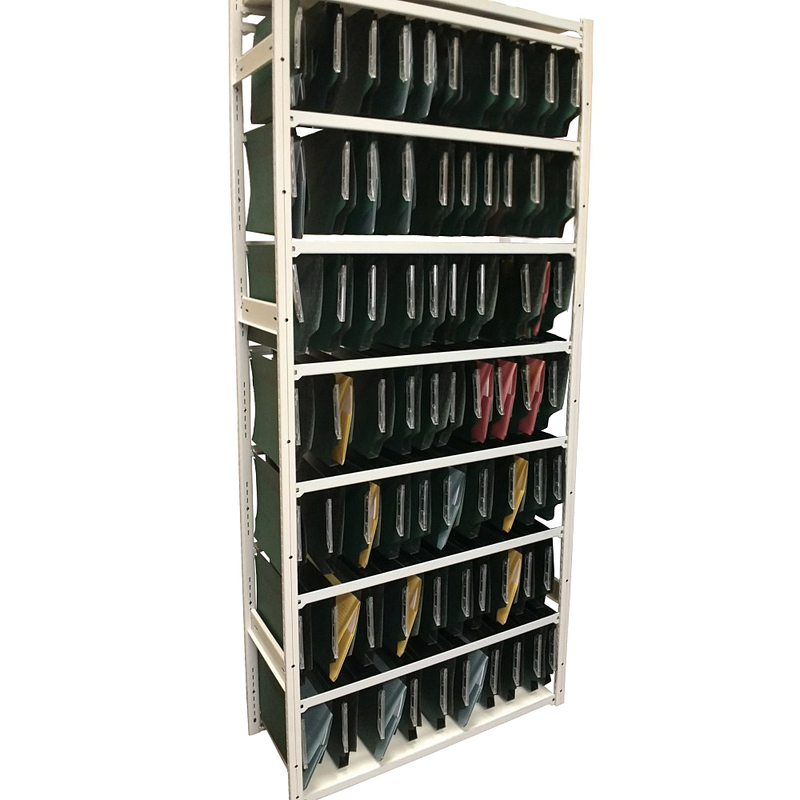 Each unit is constructed from commercial grade shelving components that create a strong and durable place to store your files. Specially designed support beams are included that allow standard lateral file holders to slot into a horizontal rail - allowing easy installation, removal and sideways movement to gain access to the files within. Each unit comes with 2 Melamine shelves that are inserted at the top and bottom of the rack. 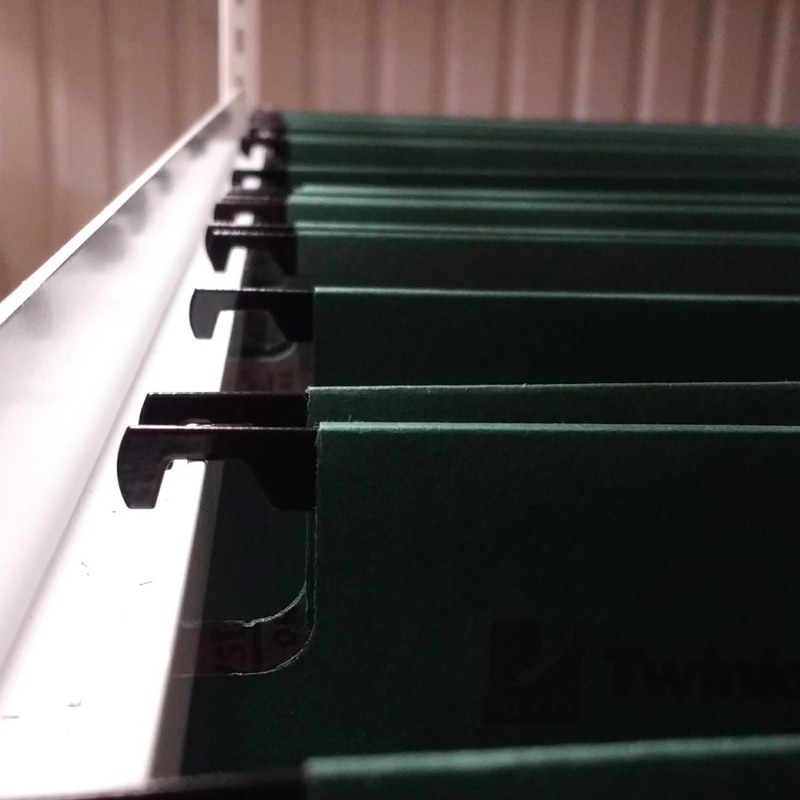 Having a bottom shelf gives you the option of sacrificing a single level of lateral files to create some practical shelf storage for reams of paper etc. 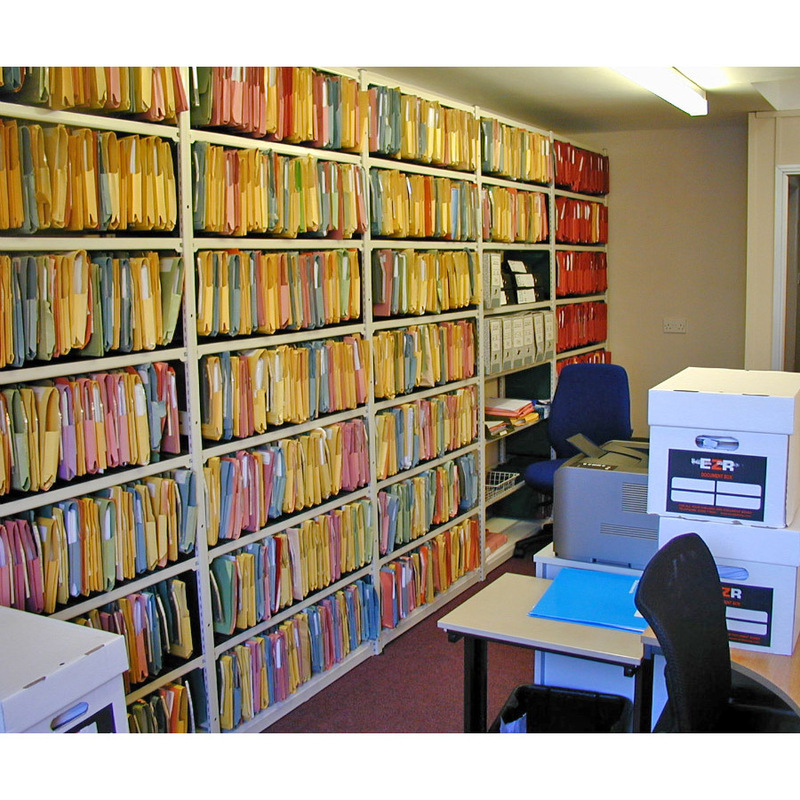 The photograph shown in the office environment shows how one of our customers has created a full storage wall of lateral filing units. To create a similar solution for your office you would need 1 x starter bay and 4 x add-ons. 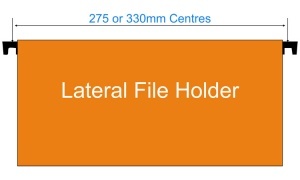 We have 2 options available for the 2 most commonly available sizes of lateral file holders: 275 or 330mm, please choose the option that best suits your requirements. Note: prior to 30/11/18, units were supplied with 88" high posts - all units are compatible regardless of post height supplied.